Thursday we were excited to celebrate 40 years of success under the leadership of Curt McCoy and John Stark. 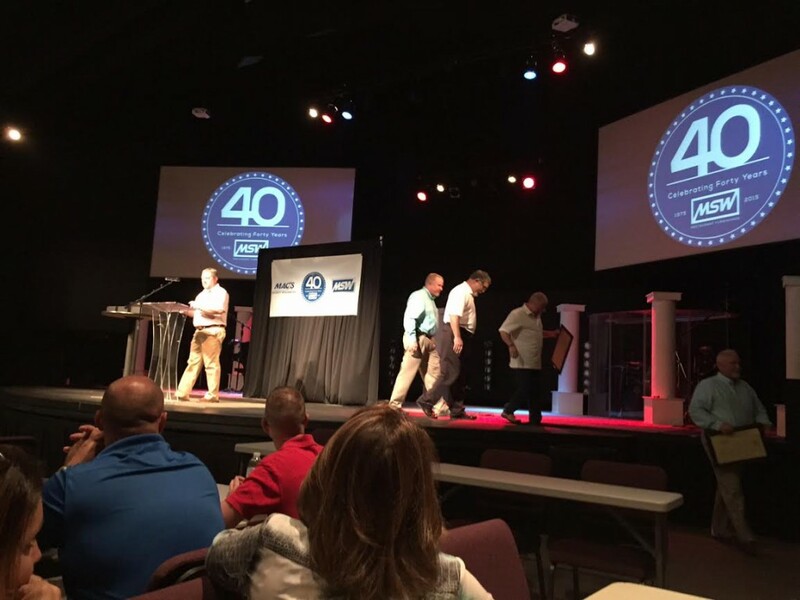 Our employees and friends gathered at Carterville Christian Church for a cookout and celebration of the 4 decades we have been serving the restaurant industry. Also on hand were several area legislators, who presented Curt and John with resolutions from the Missouri Senate and House of Representatives. The owners were also presented with awards from the employees of MSW to commemorate this significant milestone.